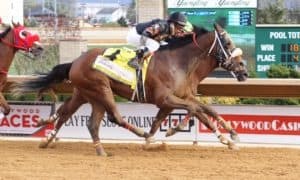 His name serves him well as this horse just loves to battle and fight all the way to the finish. 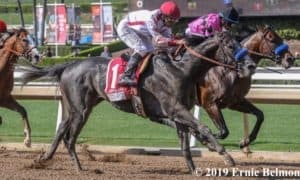 In Saturday’s Grade 2 San Pasqual Stakes, he sat in a solid stalking position throughout while racing wide for most of his trip. 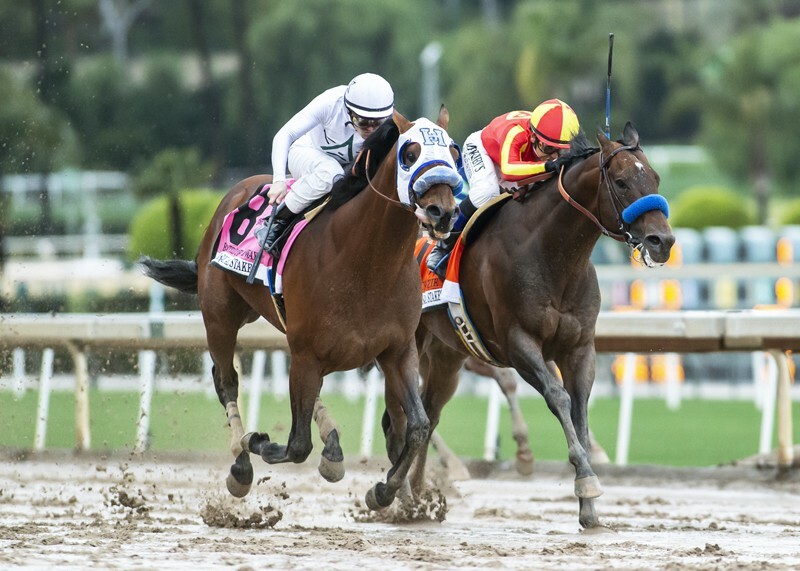 At the top of the stretch, it looked as though the heavily-favored McKinzie was ready to roll; however, Battle of Midway had other things on his mind. 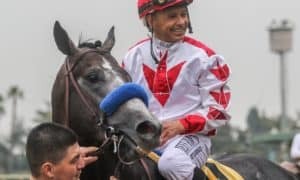 He kept grinding away at McKinzie in midstretch before finally wearing him down late to pick up the win by a neck. 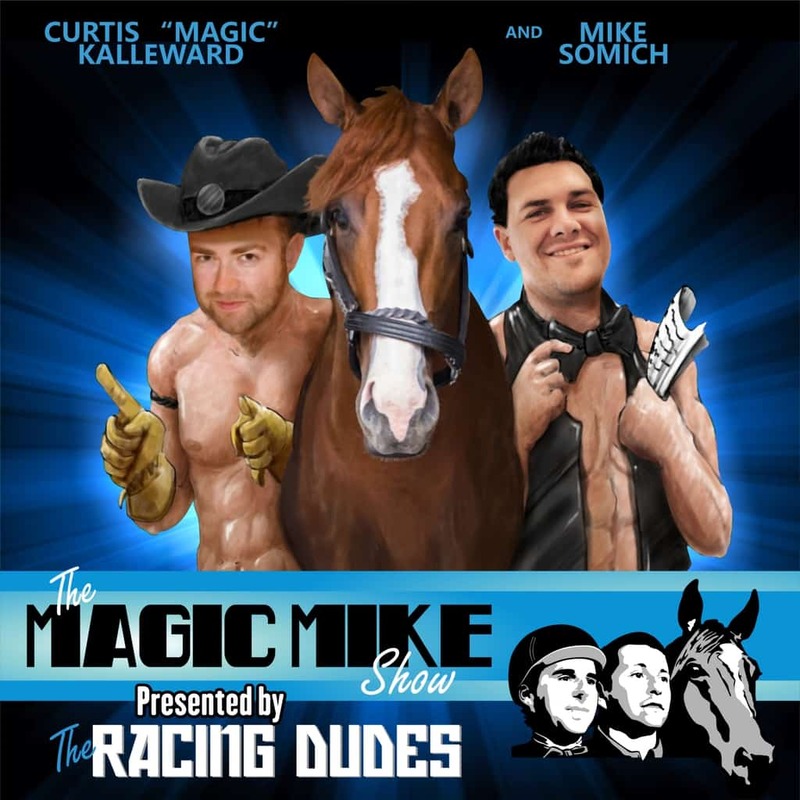 Right now, the older male division is wide open, which means that Battle of Midway could have a big say in things if he continues to run this well all season long. 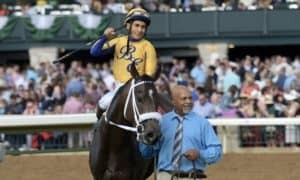 After losing the Grade 3 Sham Stakes, you had to think that trainer Bob Baffert would respond in the Grade 3 Robert B. Lewis Stakes, and that is exactly what he did. One of his many Kentucky Derby hopefuls, Mucho Gusto, made short work of the field with a 4 3/4-length romp. In a surprising move, Mucho Gusto sat off the early pace, rating in third down the backside. When asked to quicken, he did so willingly, easily passing the pacesetting Magnificent McCool before pouring it on down the lane. 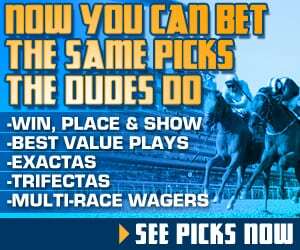 This win will set up him up for a 50-point prep next, which could come at Santa Anita or at a variety of tracks including Oaklawn Park, Sunland Park, and Aqueduct. 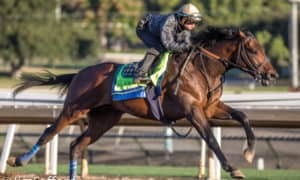 The scary thing is that he is probably only Baffert’s third-best Kentucky Derby prospect. 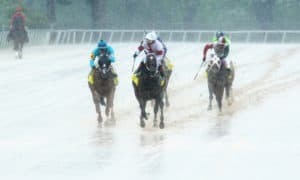 Tax season isn’t quite in full force yet for most of the country, but it was last Saturday for the horse racing world. 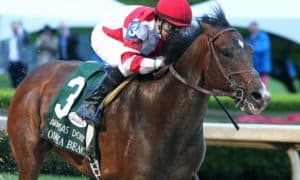 After a third-place finish in the Grade 2 Remsen Stakes to round out his juvenile season, Tax made his 3-year-old debut a winning one with a determined head victory in the Grade 3 Withers Stakes. After stalking the early pace for much of the race, he had some traffic trouble on the turn, but he made an inside rally to take the lead in midstretch. He was then able to hold off the challenges from the front-running Our Braintrust and Not That Brady to come out victorious. 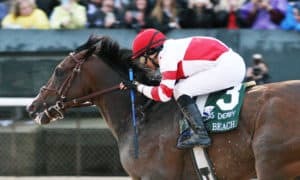 Out of the three Kentucky Derby prep races run on Saturday, Tax earned the highest Beyer, an impressive 96.